"Talking to people on a daily basis requires being adaptable as well as organized and empathetic. As a receptionist, I enjoy my job, mostly because it means working for a firm whose main goal is helping people." 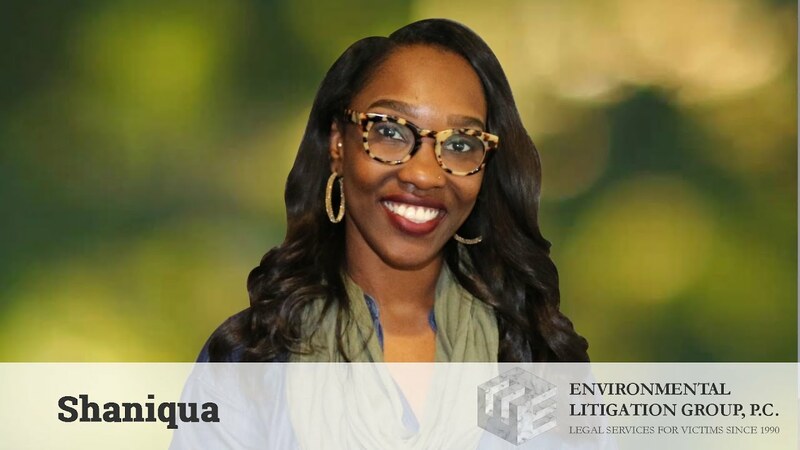 Before getting in touch with the lawyers, people who reach our law firm and need legal assistance have an initial contact with our receptionist, Shaniqua Williams. She is the first one to answer to our clients and then she is routing their calls to the correct personnel that takes care of their issues. She is also taking care of other administrative matters, like receiving packages and entering client information into the system. All the cases are important to us, that is why every member of our staff knows the importance of being nice and receptive and so does Shaniqua. "Working for ELG is not a job, it's more of a calling for me. I'm a talker, I like getting to know all those different people - Navy and Air Force veterans, steel plant or powerhouse workers, miners, and other, discovering their stories and ways of life, learning to appreciate what we have now, and being able to help them." Since 1995, Michael Bartlett, our Director of Case Management has had many positions in the firm, starting with legal assistant. 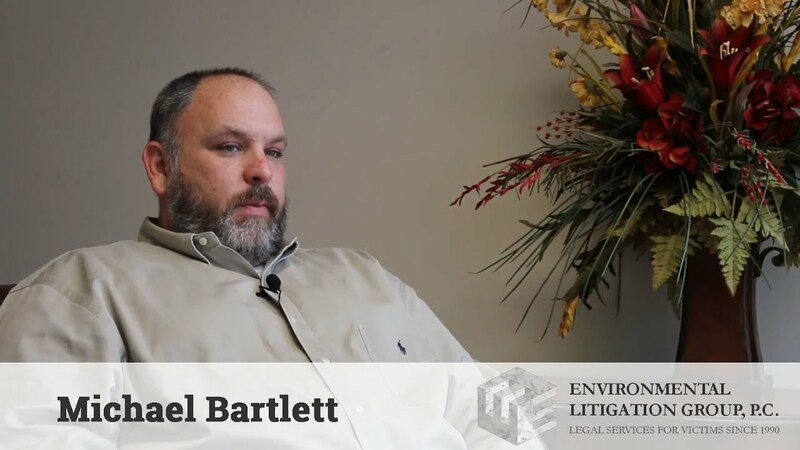 After graduating from UAB in 1998, he became an expert in environmental litigation matters, especially asbestos cases. His own life experience with asbestos injuries fueled his motivation to help people in similar circumstances manage their unfortunate situation. Over the two decades of meeting with clients and doing interviews, Michael has built a vast knowledge of the products that caused significant exposure to asbestos or other toxicants. Helping people remember and identify products and workplaces is crucial in these types of cases. Most clients have their concerns about what will happen to their families after they pass away. Michael addresses those tough questions with goodwill and lots of energy. "Even since I started, as a receptionist, I learned that people are so different and react to their situation in various ways, but they all have something in common: the need for clear, concise legal help. We are here for them and we truly care. " A UAB graduate and a member of our group for 6 years, Skyler is now a legal assistant in a team that makes a joint effort to do things right from the beginning. Filing claims for different asbestos trusts with the information they require, doing research for missing information, finding the links between work history and significant exposure are some of her main tasks. Due to Skyler and her colleagues' efforts, clients receive the right treatment they deserve and their needs are being taken care of in a highly professional way. "Most of our clients are really nice, hard-working blue-collar people that have been wronged and suffer everyday from cancer or other asbestos-related diseases. The least we can do is to ease their financial concerns in their remaining time, by earning a fair compensation for them and their families left behind." As CFO and Director of Claims, Jonathan Sharp is responsible for our firm's financial matters. His main responsibilities are case evaluation, management of firm assets, financial analysis, to name only a few of the things he's been handling for almost 23 years. As Director of Claims, he manages client relations and the collection and proper distribution of all the funds. He has been with the firm almost from the beginning and he's also been very involved in asbestos cases over the years. He thinks of his occupation as being a "Sophisticated, non-traditional, rewarding one, sometimes challenging." Always, the client comes first for our team, and Jonathan Sharp is able to help and address any concerns that you might have. "I may have something different to do every day, but I mainly assist people through the entire process, fill out forms and put together pieces of the "puzzle". It is only natural to do all that while being open and available to our clients." As a client liaison and legal assistant, Brandi's activities mainly involve talking to people, finding details from their work history, doing research and connecting the information in order to collect data for claim filing. She does the initial phone calls, setting the tone for a good connection with the clients. Communication doesn't stop with paperwork, as people are contacted on a regular basis. She, like all the other team members who often work extra hours, goes above and beyond to take care of our clients' cases. "Interacting with clients is my favorite part of the job, because I get to speak to someone different every day. I get to know more about our clients and despite their misfortunes, many of them are keeping a positive mindset and are very pleasant to talk to." 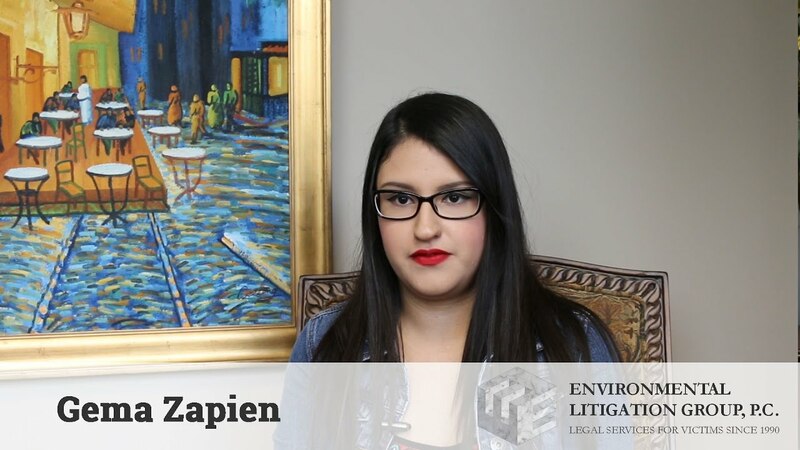 Be it an older employee or a recent one at our law firm, communication is an important aspect of our team's activity, especially for a client liaison and legal assistant such as Gema Zapien. She is one of the kind voices that our clients hear on the phone. She is patient in gathering work history information for asbestos-related cases and helps the clients with all the necessary documents. Gema relates to our clients by keeping in mind at all times the difficulties of their situation. Having to remember things from more than 40 years ago while suffering from a disease is not an easy thing for anyone. That is why Gema wants to be of assistance to our clients. Gema is also fluent in Spanish. "I do not normally deal directly with clients/cases, so I don't have personal preferences, but I appreciate being a part of something that can make a big difference in people’s lives." Chris Maddox has a lot of work to do for ELG team every day, mainly development work on the systems used to track cases and store client files. Even if he describes his activity as enjoyable and fulfilling, there is also a challenging part and it's about predicting how staff will use the systems. Another challenge is to prevent problems before they arise. On a personal level, Chris also has the experience of a close family member passing from lung cancer due to asbestos. Knowing what this means from a physical and financial point of view, he appreciates being a part of something that helps people going through the same. "In order to get my job done as a certified professional paralegal for ELG, I must multitask and be as quick and detailed as possible. What I like most about my job is that there is never a dull moment, I'm dealing with multiple attorneys, clients and co-workers at the same time." Amelia has been working in our team for 14 years, as a paralegal for the firm's principal attorney and staff attorneys. She is experienced in helping with most questions that a client may have, so she often travels to meet them, to help them complete the paperwork. The main trait that characterizes Amelia is her genuine interest for people involved in the various cases that we handle. "As I gather various information on each client to get it approved for payment - and sometimes that can be a challenge in itself, I realize that the final reward is not only doing your job as good as you can, but also having helped another human being." Barbara Harris has been with us since 1993, accumulating experience in a very time-consuming, but also rewarding job. Her job is mainly to process claims. That means she speaks to many clients on a daily basis, attends to their needs by providing useful information on their claims and also assists them with anything else they might need. Her dedication provides the attorneys a solid foundation to work with. Collecting complete and correct information is the key to making as many successful claims as possible. "Whether it’s being able to tell clients a check is in the mail, explain a document in understandable terms, or simply being the understanding person on the other end of their call, I like being able to help people. My job is satisfying, rewarding and challenging at times." Wendy Garmon has been an employee at ELG for more than twenty years. Currently, her principal focus is managing the community exposure case in the East Saint Louis area. This includes dealing with the pleadings being filed within the Court system, gathering and organizing all the necessary client data, communicating with the clients via letter and phone calls to keep them informed and answer their questions, traveling to the community to meet with the clients one on one, and helping them with supporting documents needed for their case. 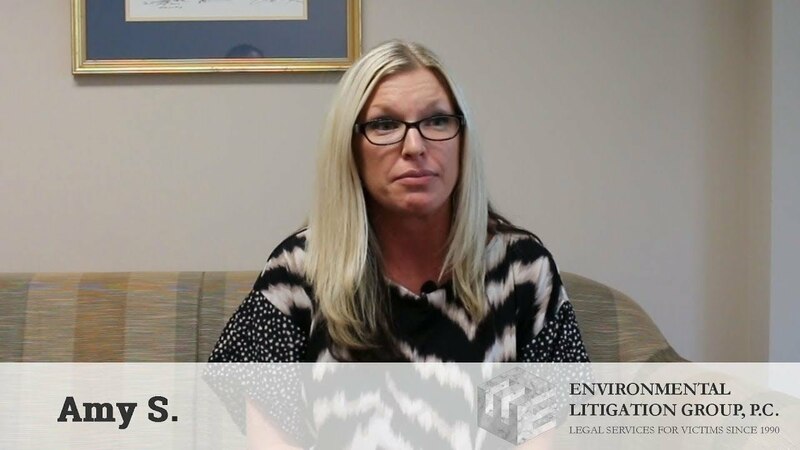 At times while employed by ELG, Wendy has worked on all of our other community exposures cases, other types of environmentally-related cases such as oil and chemical spills, asbestos cases and pharmaceutical cases. Wendy believes in hard work and wants the clients to feel like they have received the best legal representation they could get. "My work at ELG is very interesting, it is like putting the pieces of a puzzle together for every case. It is about getting complete and accurate information as much as possible in order to obtain financial compensation for our clients. I found my niche in medical and legal research and I love my job." After several years of working at our law firm as a legal assistant, Amy has continued to be an important part of the team. She verifies medical files and makes sure the medical records are complete and organized. She understands what an asbestos case means, especially after having experienced it in her own family. All of these details represent an important part of how our firm deals with each asbestos case by caring enough to always go the extra mile. "It is both inspirational and motivational for me to work on ELG cases, talking to people and being responsive to their needs. They always tell me how helpful I am and that my job and work does not go unnoticed." LaQuita is a Virginia College graduate and our team member, who is determined and believes in hard work. Interacting with clients is the main part of her job. This includes answering their case-related questions, talking with them on the phone, being attentive and really listening to them. These are the things that allow us to build a strong case for our clients. One of LaQuita's work principles is to make sure the clients have a good understanding of what is going on with their case and that their questions do not go unanswered. Their appreciative responses motivate her to do the job thoroughly. "I have always wanted to work in bookkeeping, so I can say that working at ELG is keeping me busy, but I also find it challenging and educational. Sometimes I join the team's efforts as a paralegal, I enjoy everything so far." Our bookkeeper, Katrina is responsible for updating client's bookkeeping records, paying bills, printing and processing settlement checks, and other bookkeeping tasks. She has also worked as a paralegal at our firm and at Regions Bank in the Subpoena processing department. Even in the most technical aspects of our team's activities, people have the same needs. Katrina is available and understanding in helping our clients. "In order to achieve great results, every team member has to do many small, seemingly insignificant tasks that are necessary for the success of our day to day operations. At Environmental Litigation Group I do these on a daily basis since October 4, 1993." 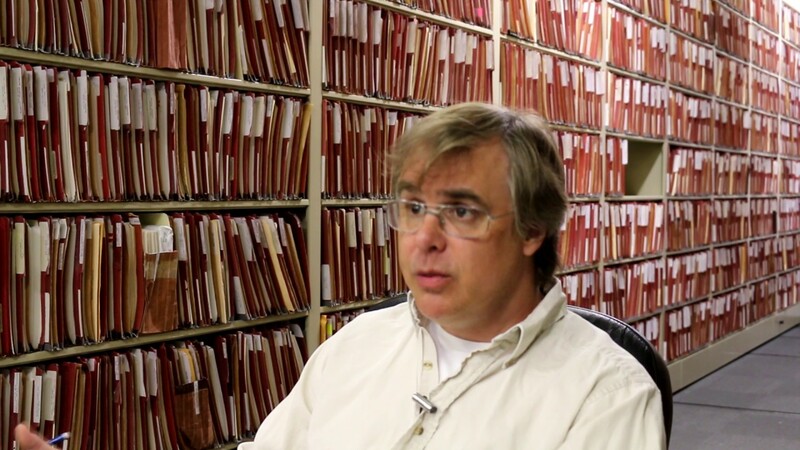 Alan Brasher, our Archival and Record Manager is responsible for checking-in, organizing and storing any evidence that we may need to use for our cases. He researches information that may prove beneficial to us and to our clients. Also, he is in charge of organizing large numbers of documents for case related projects. His job includes maintaining the paperwork, documents, X-rays for all of our clients in all of our cases. If there were only three words to describe Alan's job they would be "Always very busy! ", but that is not uncommon in our working environment. In our experience, great success is a result of many hours of dedicated work. "If a job can be described as demanding and rewarding in the same time, mine is certainly one of those. I like handling checks and balances just as much as speaking to the clients. Keeping everything in balance in a firm with intense activity can sometimes be sort of a challenge." Some of our team members have been with the firm from the very beginning. Wanda Dailey, our Accounts Manager, has been with us from the start, dealing with accounts, payroll and financial reports on a daily basis for the past 25 years. Although her job deals mainly with accounting, she also answers questions from clients. "Although I never speak with clients, I help the team with the information system, improving the staff’s ability to help them. My satisfaction is to see the staff use the things I've designed and built, and directly contributing to the growth of the firm." Automating people’s jobs is what Adam McDermott, ELG's Information Systems Manager does on a daily basis at his job. Since 2008, when he started working for ELG as a temp, he continually builds and optimizes our case management database/system to improve workflow and maximize the value of each case. He thinks that the most challenging part of his job is designing systems with the scalability to keep pace with our growth rate and the flexibility to be useful 10 years from now. "My job may require sometimes to literally go the extra mile. For instance, when clients are incapacitated or don't have transportation, I travel to them and assist them with their paperwork. I like giving a helping hand to our clients while being able to listen to the many life stories they share from their past and even offer me some life insights." Eddie's daily activities in the Circulation Department consist of mailing client correspondence, taking care of the supplies, doing maintenance, and visiting clients at their location. He's been working for us for 18 years, always being a people-oriented employee and also a genuinely caring person. Having experienced asbestos-related illness in his extended family, Eddie is one of the persons who really understand the consequent distress and difference in the quality of life. For him, the most challenging part of the job is actually meeting the clients and their families and living heartfelt moments along with these people, in all the types of cases we're involved. "For me, this is more than a job, it is a rewarding and sometimes challenging pursuit to put myself in people's service. 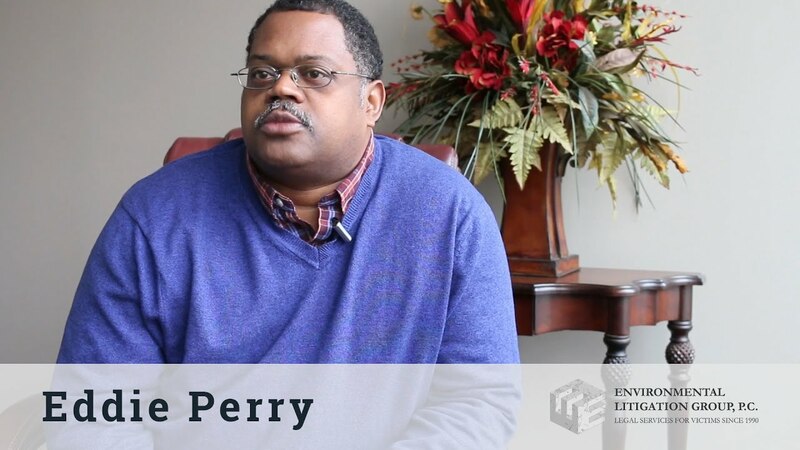 After so many years of talking with the clients, helping them understand how the process works, and really getting involved on the long term - it's like they become a part of your family." Having been in the legal field for 22 years translates into a significant experience in assisting clients, both in claims department and in the medical department. 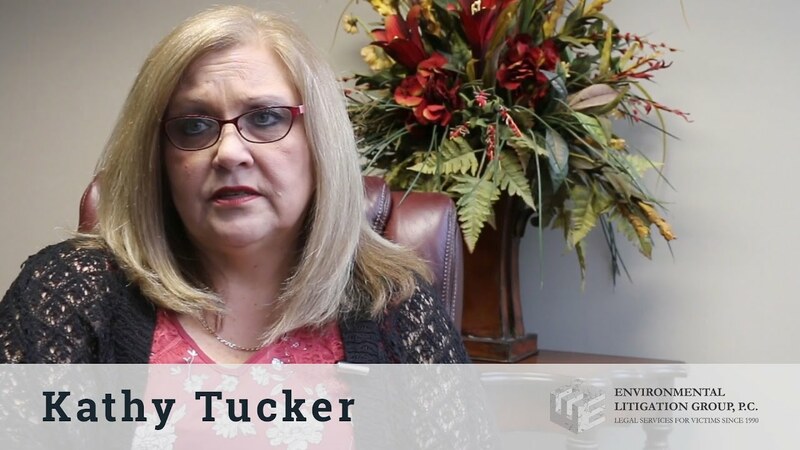 Kathy Tucker is talking to clients, answering their questions, reviewing their cases, requesting medical information on their behalf and much more. The authentic interest in what she does helps her relate with our clients. Only by trying to understand the specific needs in this unfortunate situation can make another person able to provide accurate solutions. She believes that having an interesting, challenging job and - most of all, a good health, are the true blessings in a person's life. "What would I say about my role within the ELG team after more than 25 years? That it was satisfying and sometimes frustrating at the same time. I work with the most delicate segment of our clients, the families left behind." 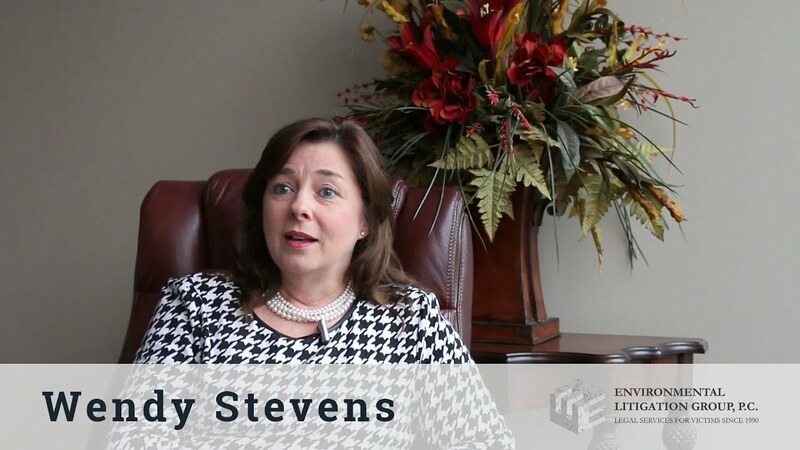 Wendy Stevens' job is to work on the deceased clients' cases. She is an experienced legal assistant, who offers support to the widows and children of those that we represent. Helping people can take many forms, from being able to tell them a check is in the mail, to explaining a document in understandable terms, or maybe saying the right thing to someone who has not heard a kind or helpful word in a very long time. She also handles asbestos claims and pharmaceutical cases. The most challenging part, as Wendy sees it, is perhaps not having enough hours in the day to get the work load completed. Wendy has worked for us since our very first day. 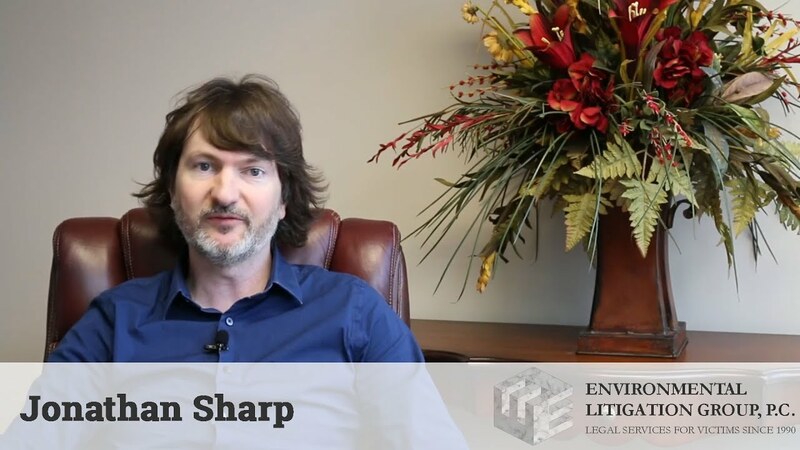 "Although my job entails a very fast-paced work environment and requires constant interaction with a lot of different people, being able to promote the invaluable legal services Environmental Litigation Group, P.C. provides is always rewarding. We are permanently striving to increase the firm’s visibility so that asbestos exposure victims will know they have someone reliable to turn to for legal representation and advice." Hilda Oltean is responsible for organizing and coordinating our law firm’s events and interviews, as well as for developing the company’s public image. 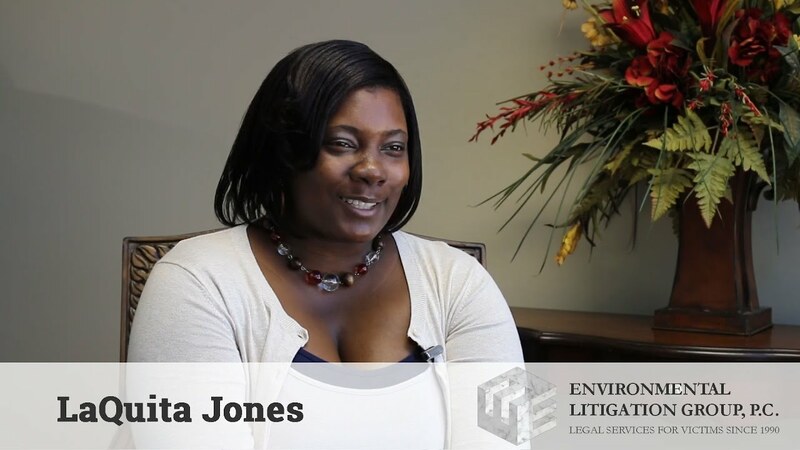 She promotes the legal services Environmental Litigation Group, P.C. offers by arranging public appearances, maintaining a social media presence, issuing press releases and supervising the content on our website. Our Media and PR Coordinator also contributes significantly to the planning of future marketing programs aimed at increasing the firm’s visibility. By making essential information about Environmental Litigation Group, P.C. available to the public, more people injured by asbestos exposure will have access to our services. Outstanding organizational skills, critical thinking and perfect communication skills are mandatory for a successful Media and PR Coordinator and Hilda exhibits all these vital attributes. Regardless of the demanding nature of her job, she always rises to the challenge and by virtue of her skills. "As a Legal Marketing Coordinator, my responsibility is to develop efficient digital marketing strategies which will promote the services of Environmental Litigation Group, P.C. specifically to people who were unfairly injured by asbestos exposure. I am permanently analyzing and improving the marketing techniques we employ in order to reach a larger audience and make our services accessible to anyone who needs a competent attorney for their case." Ciprian Oltean is in charge of developing effective marketing strategies and brand awareness campaigns with the purpose of increasing the notoriety of the legal services Environmental Litigation Group, P.C. provides. Because the Internet has become a major source of information within the past decade, benefiting from the knowledge and skills of a Legal Marketing Coordinator is crucial for maximum visibility. A great number of asbestos and toxic exposure victims can be reached through electronic media if appropriate digital marketing techniques are used. By benefiting from the expertise of Ciprian, the popularity of our law firm has grown considerably and our attorneys have thereby been able to help more people recover the compensation they deserve. This page was last updated on April 10th, 2019 PST by Jonathan Sharp at Environmental Litigation Group, P.C.